Our human nature is rarely happy with what we have. We are like the toddler who sees something and as he reaches out for it says, "Mine!" It is cute in a toddler but can lead to misery as an adult. Does the Bible teach how to be content? It does, and you may already know the passage. The first two words of this verse are the most important ones. They begin this psalm with a view of God which is a good attitude for everything we do. A "lord" is one who has authority to rule, and he has the highest status and power over those in submission to him. When you call God your Lord, then you have made the most serious declaration you can make. The shepherd provides by making sure that the sheep have food and water. The shepherd guides the sheep to safe pasture and brings them to fresh waters. The shepherd leads the sheep. They follow him to safe places he goes ahead to find the best and safest way. The shepherd shelters the sheep by protecting them from dangers. The shepherd watches the sheep not only as a guard but out of love for them. The shepherd never leaves the sheep, without his presence they are vulnerable to attack and injury. People recite this famous verse of poetic scripture and think they are covered by some universal grace. The truth is you must personally make the Lord your shepherd. God is love so He will not force himself on you since that would not be loving. He waits for you to come to Him and choose Him. Until you do, you cannot honestly say that the Lord is your shepherd. If you have invited God into your life (to understand more about this see the link above for the Gospel) then God is your shepherd and He does all these things for you. Your needs and wants are in His care. If your needs and wants are in the care and custody of the Almighty Creator of the Universe, who is also the Lord of all Heaven and Earth and Lord of all time then you can be confident that you have enough, because as your Lord, He knows your needs and He knows what is best for you. You may feel something is missing, but because the Lord is your shepherd, you lack nothing. Because He is All-Wise, He knows what is best for you and will either give it or withhold it. Because He is All-Love, what He gives is given out of love and what He withholds is withheld out of love. The person who wrote the 23rd Psalm was content not because he has a lot of stuff, or a full dinner plate or a beautiful house but he was content by viewing the Lord's provision as all he needed. We should be content because God is watching over us, He is our shepherd. We all say something like, "If I only had a million dollars I would do..." and then we describe something that fulfills a dream, a longing, or creature comfort. But what does the Bible say you should do if you did inherit or win a million dollar? Here is a suggestion from the Bible. "Do not trust in extortion or put vain hope in stolen goods; though your riches increase, do not set your heart on them." Psalm 62:10. Do not set your heart on it. That sounds lofty and ideal but what does that mean? That thing is the object of your affection. You see that thing as the fulfillment of your hopes. That thing is essential to you. It begins to define you. Your identity and the thing you set your heart on start to become one and the same. It becomes your motivation and the basis of your choices. The list above is not bad if your heart is set on something wise and healthy, like family, God, church, and community. But to set your heart on wealth for the sake of wealth or to serve only yourself is not wise. Our hearts should be set on loving God, family, and serving our community. To set our hearts on wealth puts wealth in competition with God, creates selfishness, puts at risks the best things in life and opportunities to serve and know God, ultimately you risk eternity and the blessings of heaven. This Bible verse is not just a proverbial saying. The Holy Spirit moved the patriarch to pen these words so this is not merely some advice that you can take it or leave it. Scripture addresses the issues of your heart in many places because God has a right to it and everything you are and have. As a loving Father, God cares for our wellbeing and knows a heart set on wealth for the sake of wealth is unsatisfactory to meet our deepest need. Even Jesus affirmed this when he said, "Where your heart is there your treasure will be also." Matthew 6:21. The scriptures do not say to refuse wealth or deny your inheritance. It does not say we should choose to become destitute. Our hearts were made for better things than gold, silver, houses, and vacations. Our hearts were made for God and will only find fulfillment in serving Him. So, if some wealth comes your way affirm to God that He alone has your devotion and demonstrate your devotion to Him by acts of charity, tithing, and service. What can you do to encourage someone who is going through a difficult time? 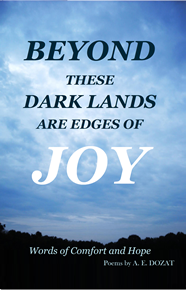 If you know someone who needs encouragement you should order a copy of Beyond These Dark Lands Are Edges of joy, my book of comfort and hope. You will be glad you did. Use this link for digital download CLICK HERE. $2.99. To read blog post CLICK HERE. The Bible says a lot about money, but what does it say about a foolish person and money? "A man who has riches without understanding is like the beast that perish." Psalm 49:20. At first glance, you think this is all about money, but riches can be many things. Riches can include all manner of property; you can be rich in talents, education, friendships, and other things of this world. Therefore, we can all consider ourselves to be rich in some way or other. To have understanding is more than just education or a broad knowledge base. It is having insight into how things work. It is to know the effect of your actions. It is the result of experience, thoughtfulness, and imagination. It is to possess an awareness of potential and possibilities. It is the results of purposeful intelligence. It is intentional, it is not an accident and it doesn't just happen. We must understand wealth, how it relates to the world and what is God's purpose for our wealth. In God's creation, humans are set apart from the beast. In the Bible, we see God creating beast by His command, but when He created man He had greater care and intention because it says God formed man out of the dust of the ground, not by command. The opposite of the beast that perishes is being made in the image of God. If we are in the image of God we are intended by God to be noble and virtuous, a reflection of his nature and character, we are to do great things not just to exist. To perish is to come to an end, it is the final conclusion. The wise author of Proverbs used these words as a statement of value or judgment; it is to say that without understanding your wealth makes you less than God intended you to be. You must get understanding. It is foolish to possess a powerful resource and not to understand it. You must take time to learn about your wealth, gifts and blessings. Seek out advisors who are expert in these things. Read literature that teaches how to handle your wealth. Resolve not to be like the beast who perish. 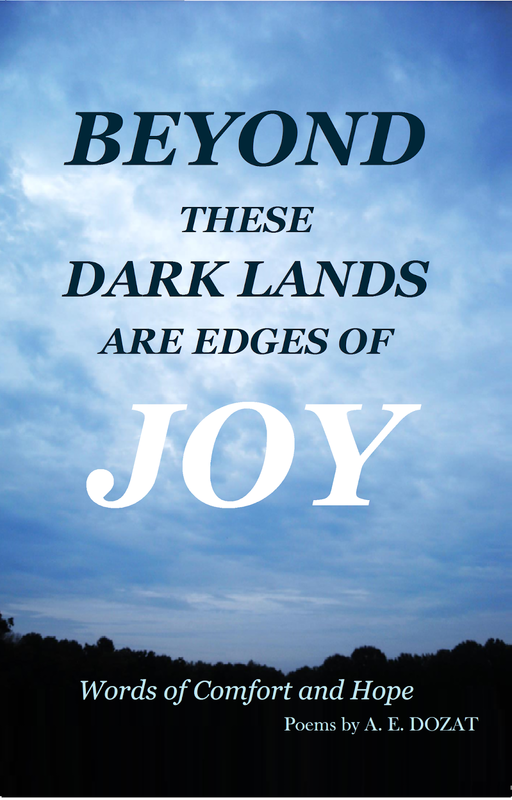 If you know someone who needs encouragement you should order a copy of Beyond These Dark Lands Are Edges of joy, my book of comfort and hope.You will be glad you did. Visit my print on demand partner the Book Patch for bulk orders or digital download TheBookPatch. To read the book blog post CLICK HERE. If you give money to God you will get that money back? Some say you will and that you may even get more back, but what does the Bible say? Consider what it says in 2 Corinthians 9:6. Remember this: Whoever sows sparingly will also reap sparingly, and whoever sows generously will also reap generously. 2 Corinthians 9:6. We have problems with forgetting, especially the good and right things we should do. Who remembers to thank God every day for His blessings? We need to remember the important things, and resolve to do those things and giving generously is one of those things. Anyone who is stingy is known as such and anyone who is generous enjoys a good reputation. This is true of all people not just some or people from one culture or time. It is not just the rich or the upper class but anyone. Generosity is illustrated here as a farmer sowing his seed in the field. When the farmer cast seed in the field he can anticipate a certain result. Once the seed is tossed on the ground he has little power over it but must trust God to send the rain and the sunshine to produce a crop. Sparingly is like giving the left overs or the extra, it is giving the little you can spare after your own needs are met. There is no sacrifice or heroic sense in it. To give sparingly has a predictable result. If you toss a lot of seed into the field there will be a lot of plants if you only put out a few seeds you will have a few plants. How big a harvest you have depends on how many plants you have in the field. The purpose of sowing seed is only one thing and that is to get a crop. The purpose of God's gift of wealth is not to consume them but to sow them and to do good. This is the word we want to see. We would like to receive generous blessings from God. There is no guarantee that you will receive money if you give money. God may bless your financial giving in other ways. He may bless you with deeper friendships or bless you with richer experiences, or a fuller walk of faith, or He may defer the reward for heavenly treasures. We should make gifts of the blessings that we have but not to receive gifts in return, we do it out of love for God and his creation. Thank you for visiting my blog. I hope this is helpful. To read more choose from the labels in the right sidebar or the list of helpful post. on the left. Please use the buttons below to share this post with your social networks. Sometimes work is hard and sometimes work is boring. The world is full of other activities that are more enjoyable and fun than work, so if you can get out of work by cheating, stealing, or by taking advantage of a welfare program then what is wrong with that? The Bible says, "Anyone who has been stealing must steal no longer, but must work, doing something useful with their own hands, that they may have something to share with those in need." Some people steal and feel they can justify it by some reason or another, that they are owed, or they are deserving, or that this case is an exception, but the word anyone also means EVERYONE, so no matter who you are or what your reason you must not steal. Many people do not understand what stealing is. Most people can see that taking something that doesn't belong to you is stealing, but others think that it is OK to steal if the value is small or the owner is impersonal like a business or government. Stealing is just as wrong if it is a dollar candy bar or robbing a bank. When you steal you take the benefits of someone else's life, their time, energy, and labor. It is the same if you use a gun to rob a bank or lie on a form to get money from the bank or the state. God gave work to mankind as a gift. It was the first instruction to Adam in the garden making it foundational to all we are intended to do and be. Work was meant to be a blessing; it is our sinful nature that wants to twist it into something else. * Increases self-image, self-worth, and self-identity. * Becomes the catalyst to develop character. * Develops relationships we would never know otherwise. * Provides a means of greater and sustainable wealth. * It can actually increase your IQ. * People who work are generally healthier than those who don't. Work is an activity that is useful to others, community or society, and it makes you useful to others. There is a purpose in honest labor that it benefits all those around us. The one who steals or lives off of other's labors is doing something not useful. We do not work to amass our own stockpile of goods but we work to provide for ourselves and to have a resource to provide for others. Because we work we are prepared to share our goods wealth and blessings. There will always be someone in need and we are blessed by their creator when we reach out and become a blessing to them. God does not mean for us to be idle, lazy or to live off the efforts of others. We are meant to be productive and useful. Instead of being persons who take the resources of others we are supposed to be giving to others. Many of us hold the core belief that God is Love and that love expressed in his sacrificial giving of his Son Jesus on the cross to pay for mankind's sin. If God is to be an example then we should live sacrificial lives of giving and serving; such lives are not possible if we are depending on theft for income or welfare programs because these things undermine the work of God in us.